“SQE Canada was unaware that Sarah Warry-Poljanski and Nick Kouvalis had been charged back in September 2017 with breaking and entering a restaurant bar in Burlington. The organization was also unaware that both individuals have reportedly appeared twice in court in relation to this matter. While it is important to note that neither Warry-Poljanski nor Kouvalis have been found guilty to date, the SQE Canada is nevertheless disappointed with Warry-Poljanski’s decision to not inform the President and/or board of directors about this ongoing issue. 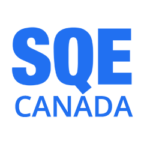 The Society for Quality Education Canada, founded in 2002, is a think-tank whose mission is to significantly improve student learning in Canada. More information can be found on its website, www.sqecanada.org.